Quite a few years back the girls were gifted a Pretend & Play Post Office Set from Learning Resources, and it's most definitely been one of the favourites and most loved toy in this house. So when we were sent the Pretend & Play Vet Playset, I instantly knew the girls would love it. 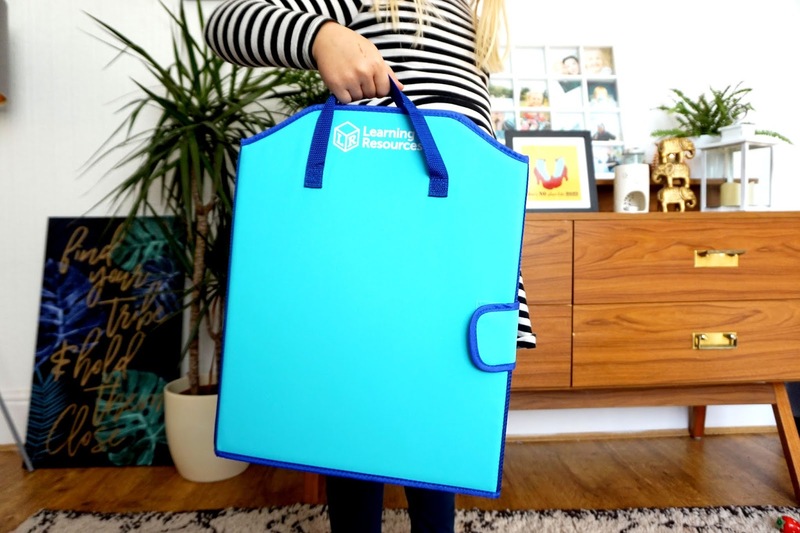 The set is a bright blue colour that can be carried around once it's folded. 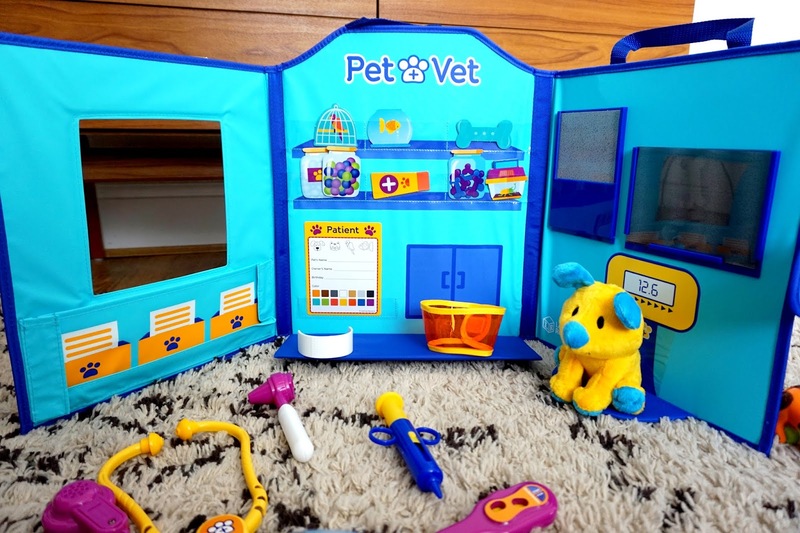 The tri-fold vet playset comes with lots of items such as - stethoscope, syringe, thermometer, eight medicine and pet cards, ear/nose/mouth scope, bandage, head collar, patient card, two double-sided x-rays and an adorable soft plush puppy. This set is great for role play and the perfect set for imaginative play. Aimed at 3-7 year old, your child will learn many things such as developing speech and language skills and other skills too. This playset is not flimsy, it's strong quality and super easy to wipe clean. Everything can be stored in the tri-fold vet, except for the bigger items such as the stethoscope, syringe etc. 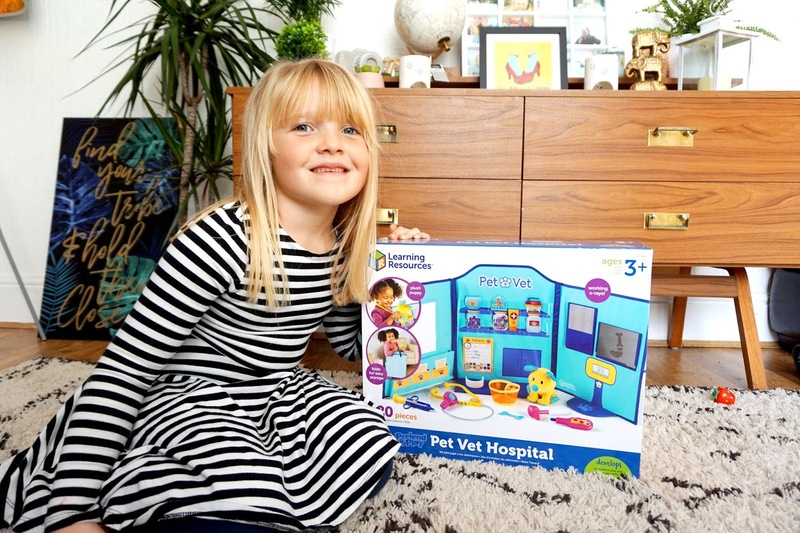 If your child loves role play, vets, animals etc., they will love this vet playset and being a vet themselves. 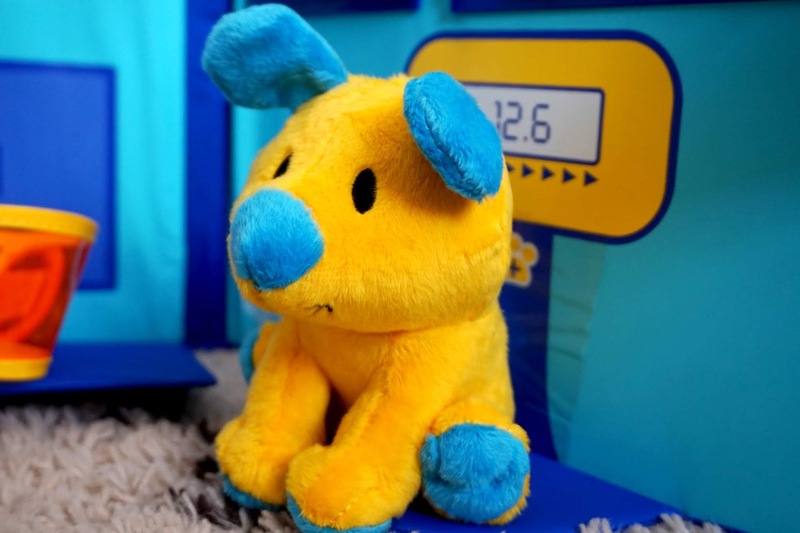 The contents included are to help encourage social and emotional development. If played with another child, they can develop many skills as said above. This product has been played with most days, and the girls love playing with it together. But they have also been playing with the vet set on their own too, so it's great for playing on their own and group play. 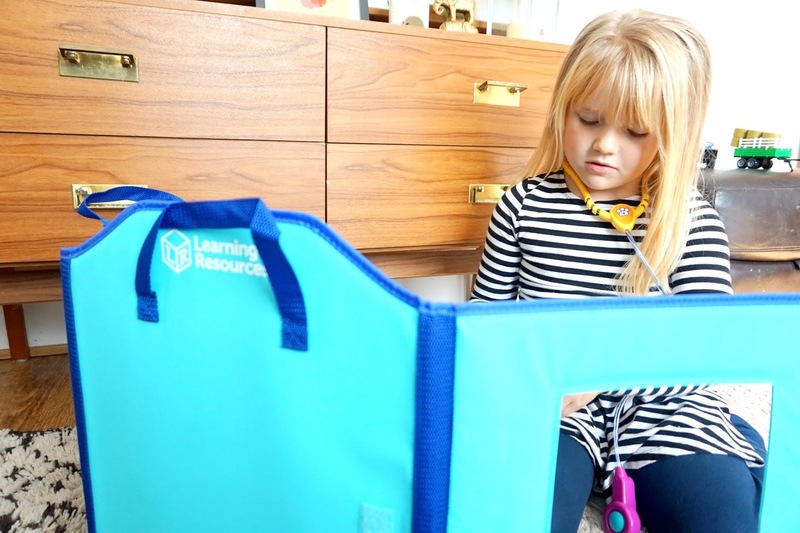 Learning Resources have a great range of toys that help role play, improve skills and great for learning new skills too. * We were kindly gifted this product.